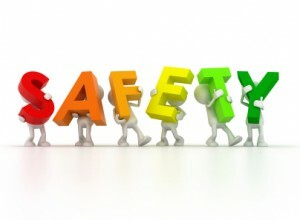 The Safety Office assists departments in identifying hazardous working conditions, develops strategies to eliminate or mitigate the identified hazard and provides department’s accident injury and illness statistics, so that they can analyze and identify accident trends, sources, and factors that contribute to occupational injuries and illnesses. Statewide safety training programs are provided on all major islands, such as workplace violence, ergonomics, drug and alcohol tests, and special training programs to meet bargaining unit and department safety training requirements. The Safety office administers the random selection drug and alcohol testing programs to ensure compliance with bargaining unit contracts or agreements. Temporary hazard pay and accidental injury leave provisions are also administered by this office. Disaster Preparedness and response actions are coordinated by this office for the department.